New Hope Community Church is proud to partner with missionaries in many areas of the world. 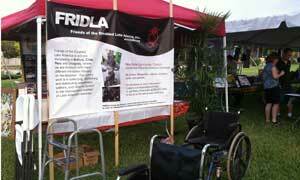 One of our finest partners is FRIDLA (Friends of the Disabled Latin America). This compassionate missions organization is actively ministering in Bolivia, Chile, Peru and Uruguay, where they are involved with many different ministries focusing on the disabled. Our primary work is in collecting, refurbishing, and distributing wheelchairs, walkers, and other equipment to the impoverished disabled of Latin American countries. If you would like to donate a wheelchair, walker, crutches, cane or car seat-- please click here! **Please note the donation form will open in a separate window on the New Hope Community Church website.